Uh, I like them tuna, but for the brushes I will have to go almost kind of the other way around as I had planned. Eventually all brushes will go through one system and brush #9 almost has that system. Hmmmm... I could probably just say "yes", too, hahaha! Anyway, I kept working on the oscillation logic a bit more and it's now much more consistent. Also, using the pointer delay parameter makes great sense now for some clean oscillation, especially with only few bristles. 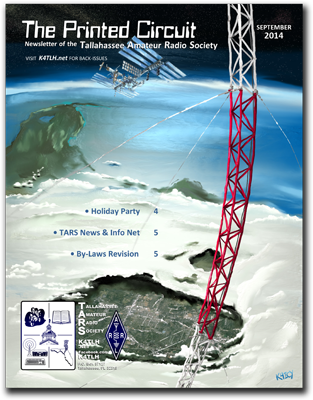 Here is my newest cover art for the next radio club newsletter. This is a very distorted view of Florida (looking south) with Tallahassee visible through the clouds. Commercial antenna towers are only a few thousand feet, but I thought it would be a nice (and breath-taking) touch. That's the ISS floating above - which is Amateur Radio equipped, no less! My hand hurts from using the stylus... but that's a good sign. underpaint is best ... now time to more finishing and polishing if you want ... your paint can became more realistic with canvas pattern (reopen final image to verve(flatten)) and with some layers may have more detailes and you can ... of course if you want this style i think others like more than now. but with or without this words i like your style if mouse or pen. you have your original style. This may be your best yet. Great use of perspective. Top Row ... 'nuff said! Do you see the comets from this place ? 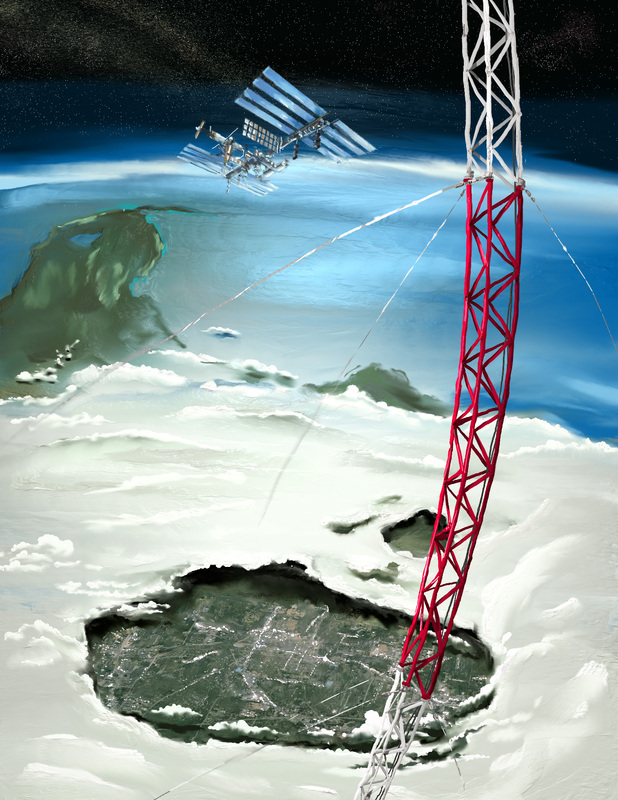 It started with a thumbnail that depicted a smaller area, like a neighborhood, from the air with lots of antenna in the distance, but it evolved into this homage to hams and space. You're really working on making a collection for a gallery show with your covers alone!